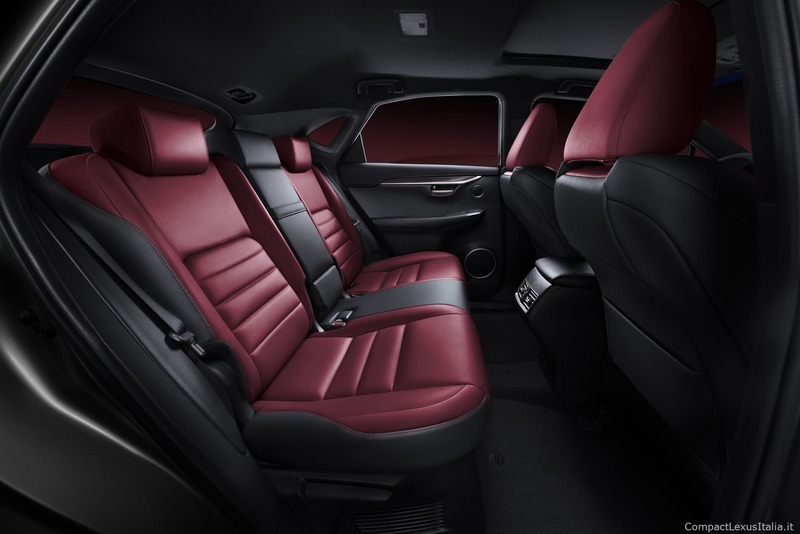 Lexus has launched its all-new, sharply styled premium mid-size crossover at the 2014 Beijing Motor Show. 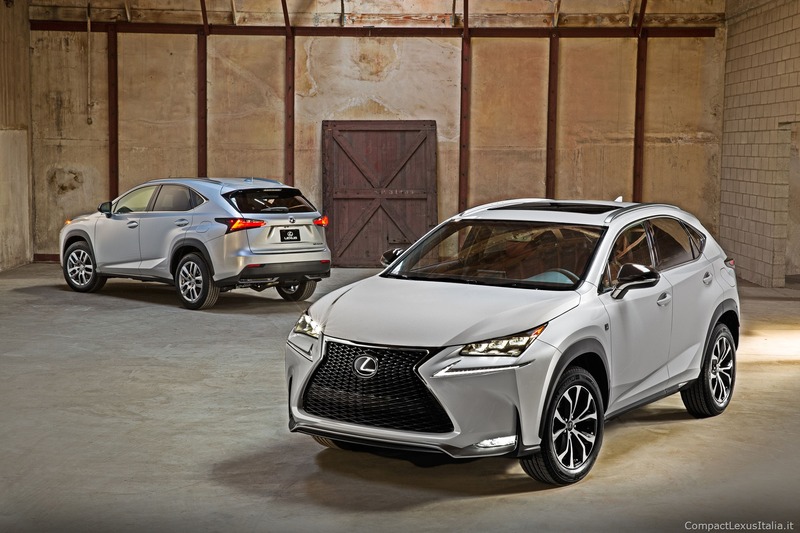 The NX is the Lexus’ first entry into the premium mid-size crossover segment. 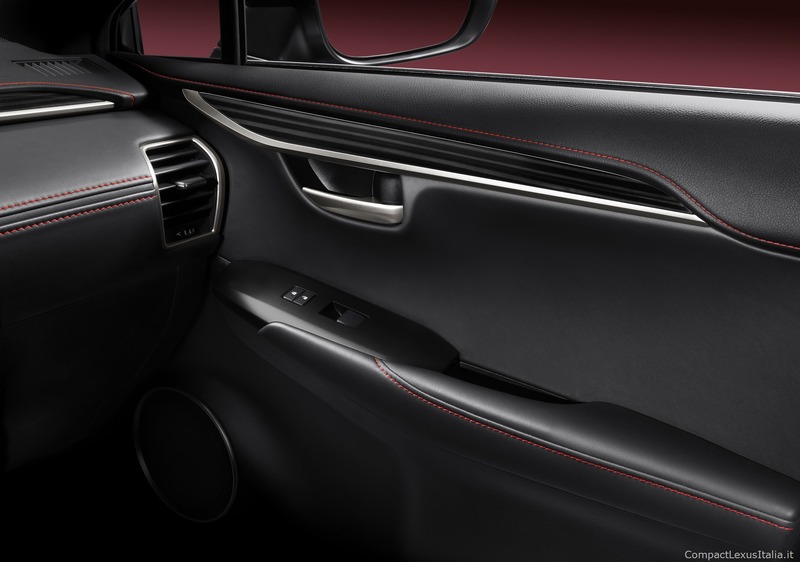 Its edgy, emotional design intends to appeal to new customers who lead urban and active lifestyles. 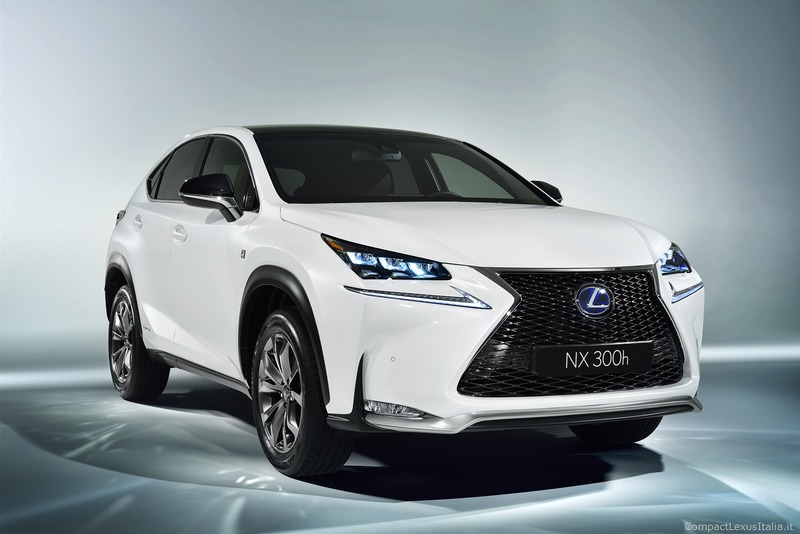 The NX offers three powertrain variants, including a highly efficient hybrid in NX 300h, the first use of an all-new Lexus-developed 2.0-liter petrol turbo in NX 200t and a naturally aspirated engine in NX 200, with the choice of front and all-wheel drive. 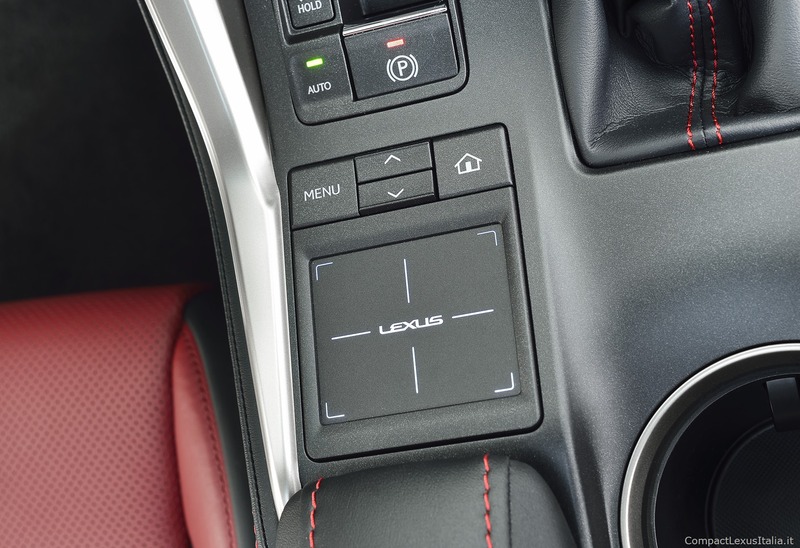 In addition, Lexus’ Stop and Start system is available to provide fuel savings and quick restart response. 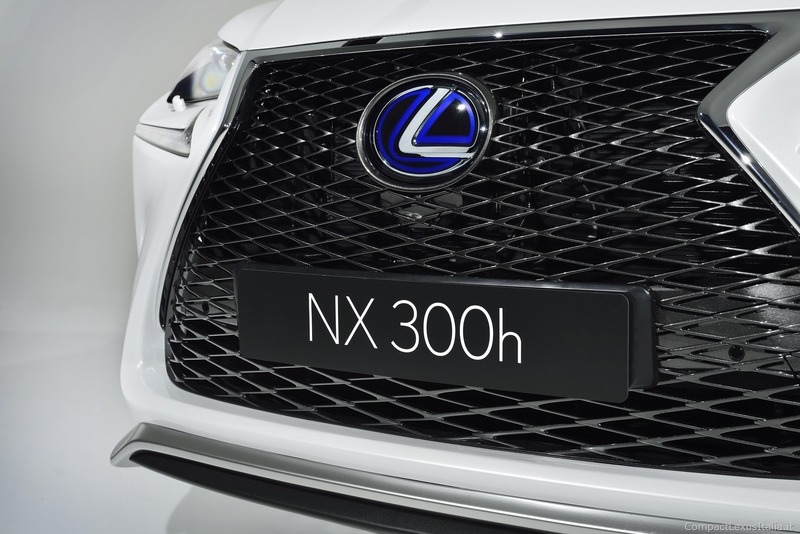 The NX has an array of innovative on-board technology, including a Lexus-first Wireless Charging Tray which enables portable devices such as mobile phones to be charged, the first application of a new Lexus Remote Touch Interface with a touch pad, Panoramic View Monitor, a comprehensive Multi-information Display (including a Lexus-first G sensor and boost meter), Head-Up Display, Blind Spot Monitor and Rear Cross Traffic Alert, along with a host of other features. 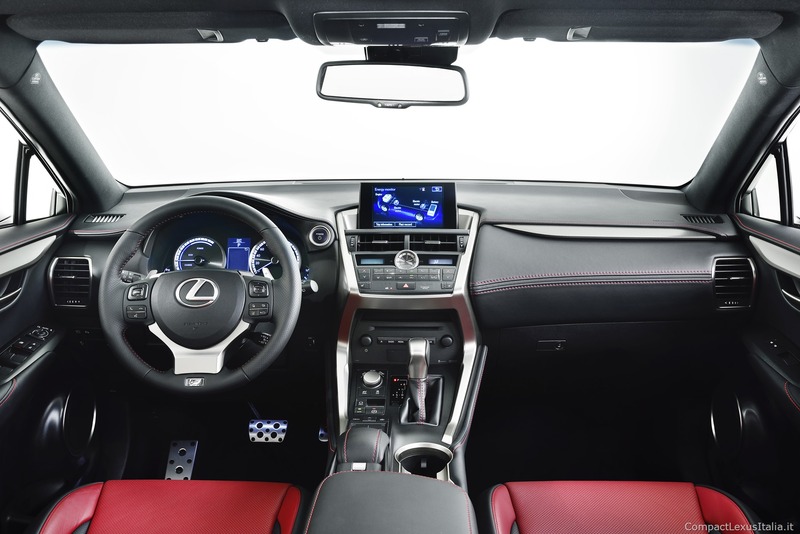 An optional F SPORT version provides more aggressive and sportier design with F SPORT exclusive items, such as spindle grille, front lower bumper, aluminium wheel, black outer mirror, interior colour, ornament panel and sport seat for sporty drive. 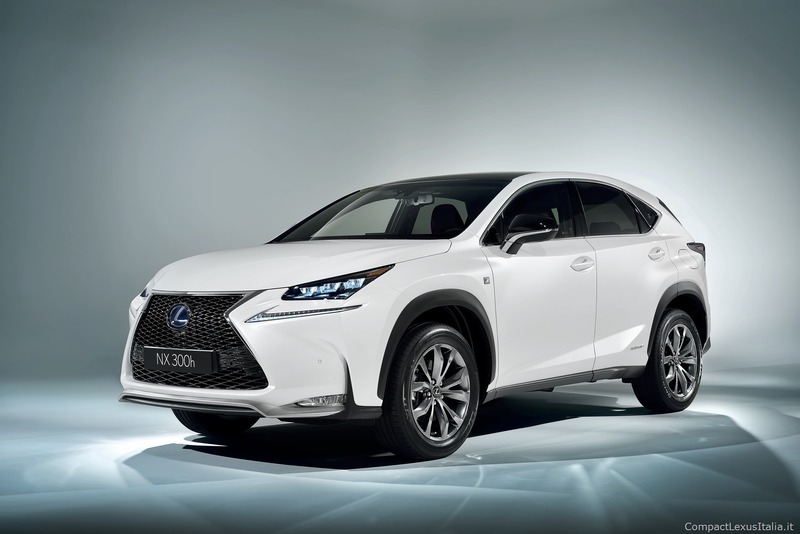 The chief engineer of the NX, Takeaki Kato, said “The NX is a Premium Crossover combining performance, numerous on-board technologies and packaged with alluring design, making it desirable to customers”. 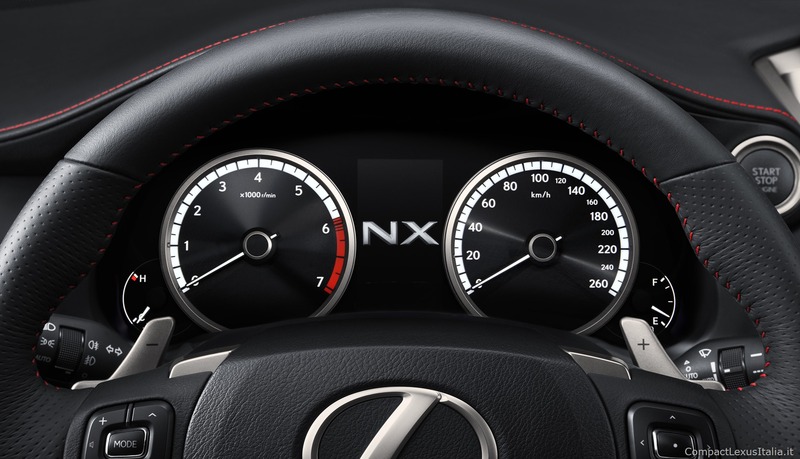 “Much like high quality sports watches, bikes and fashion articles, the NX represents the ultimate in premium urban sports gear,” he said. 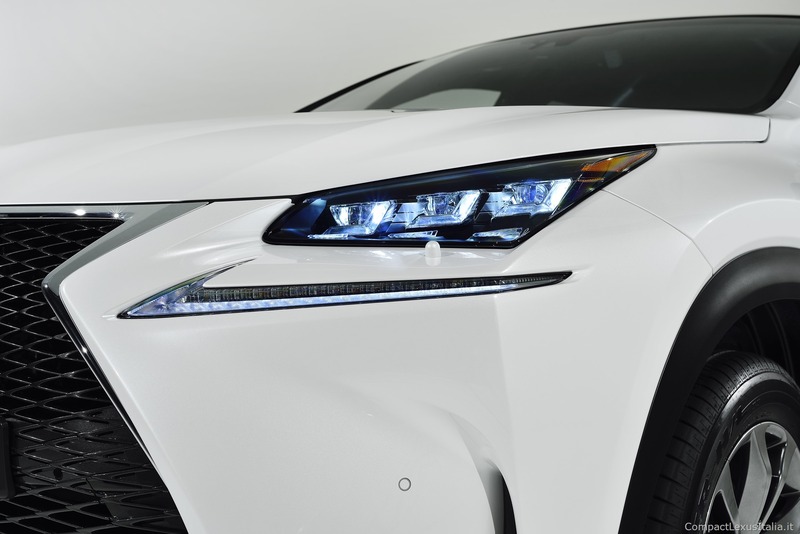 “Luxury is epitomised by small but important details.” Examples of attention to detail in the NX include courtesy lights, exterior metallic flake for the wheel arches, the feel of the switches and other innovations that will set new standards for future Lexus models. Substantially influenced by the LF-NX concept design, the NX has been designed to provide a feeling of agility not usually associated with an SUV while also being suitable for urban use. 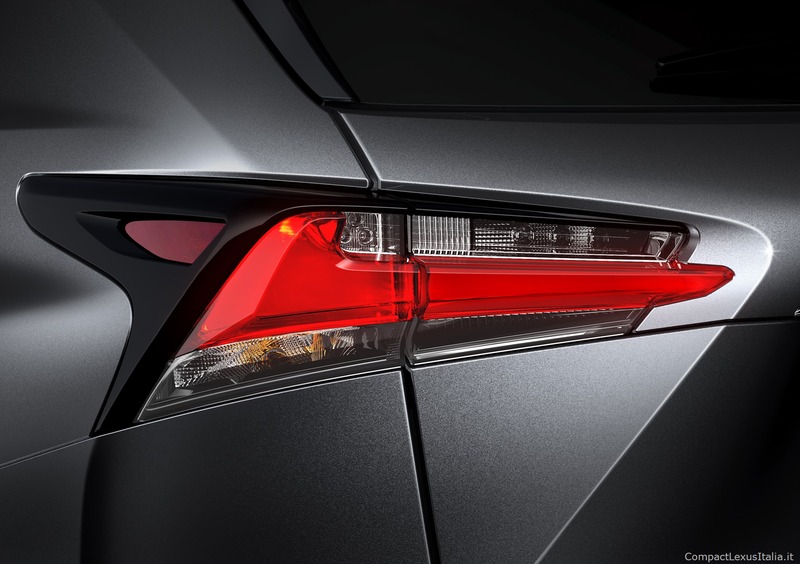 It embodies an aggressive form in order to make functionality and performance evident at a glance. 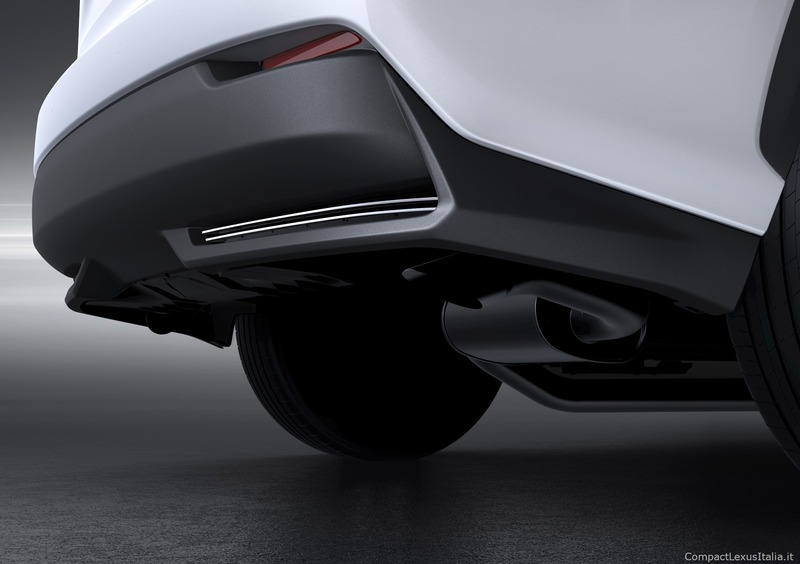 The front and rear flares are fused to the diamond-shaped body that starts at the spindle grille. 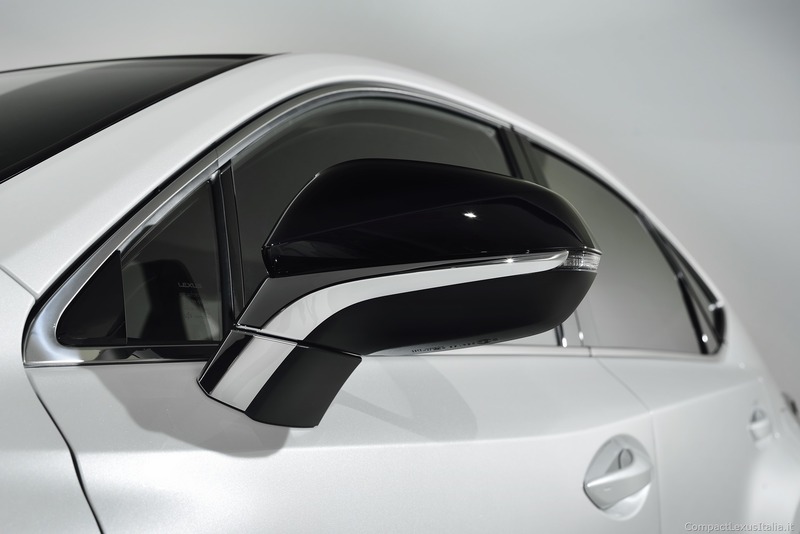 It is sculpted to look nimble with incredible power concentrated inside. 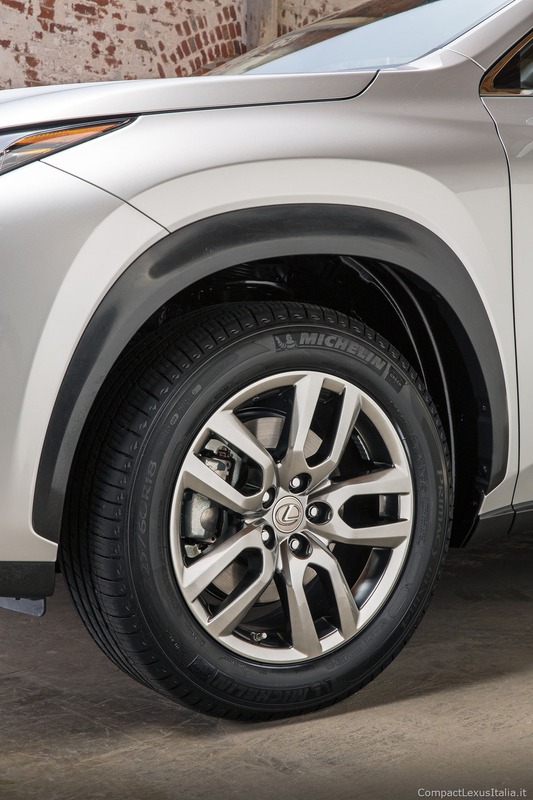 The bold flared wheel arches housing 17 or 18-inch wheels provide a crouching, muscular stance. 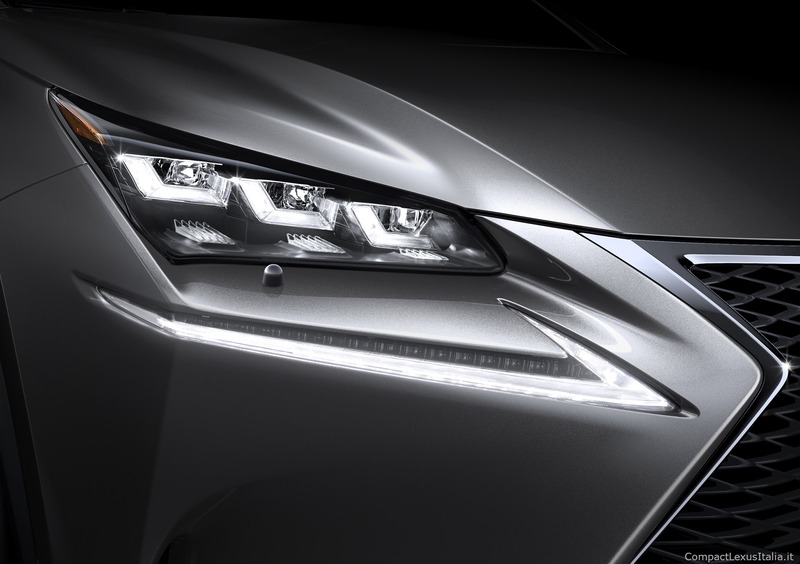 Innovative LED headlamps and daytime running lamps firmly express Lexus’ bold design language. 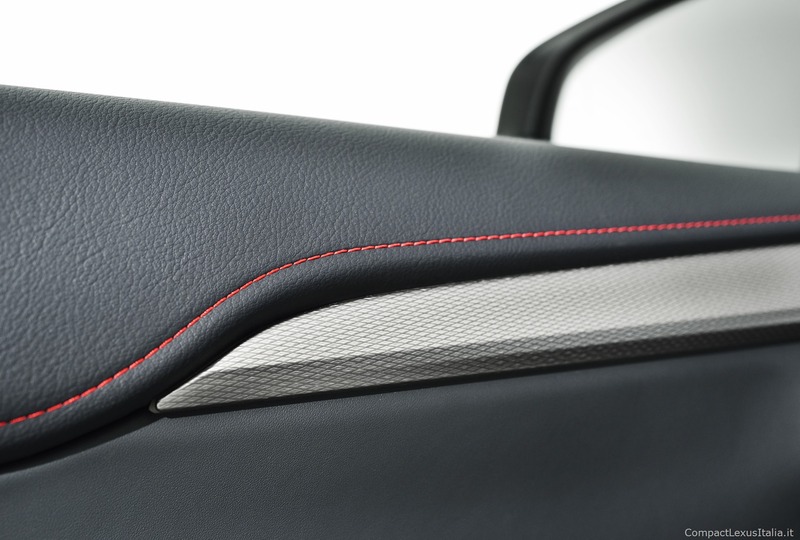 The side profile is accentuated by a roofline peak set towards the back of the vehicle to provide ample head-room for rear seat occupants and create a tight silhouette. 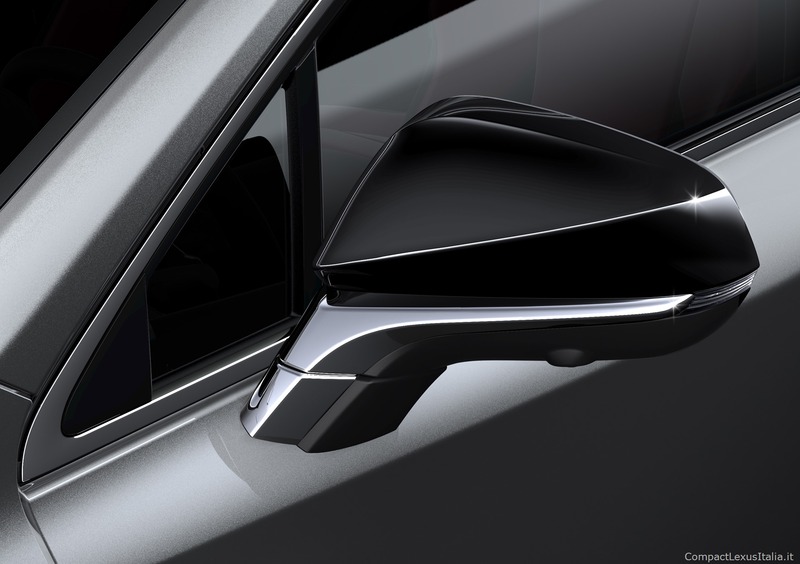 A sculpted outer mirror and a world-first door handle mechanism (with a hidden key barrel and integrated lighting) add to the premium appearance. 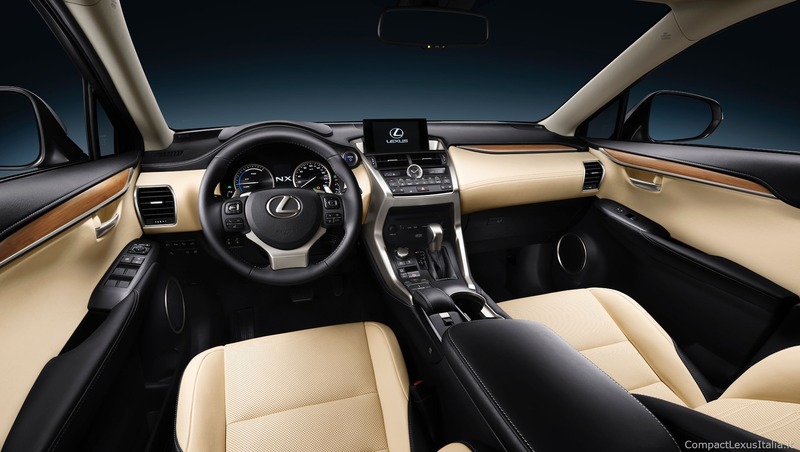 The interior of the NX brings a sense of excitement to the cabin atmosphere that directly evokes. 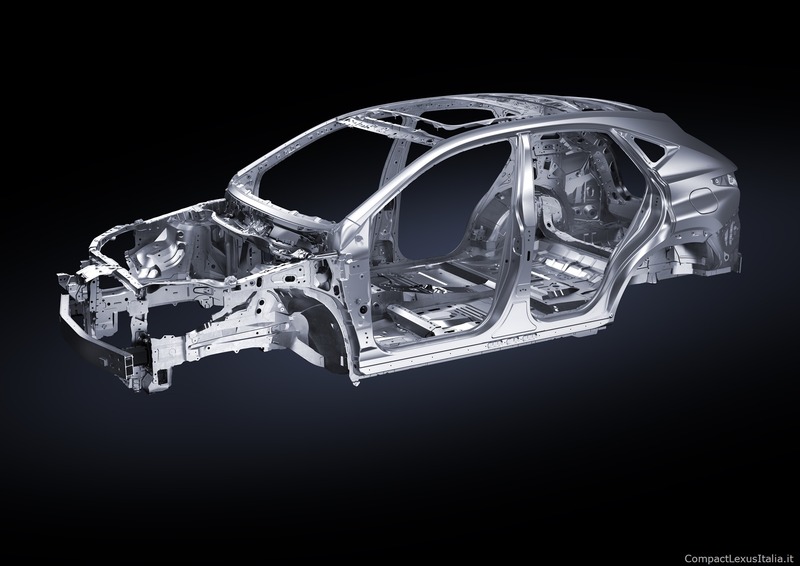 The core idea was to combine the structural beauty of a high-performance vehicle with materials and textures that provide premium feeling and functionality. 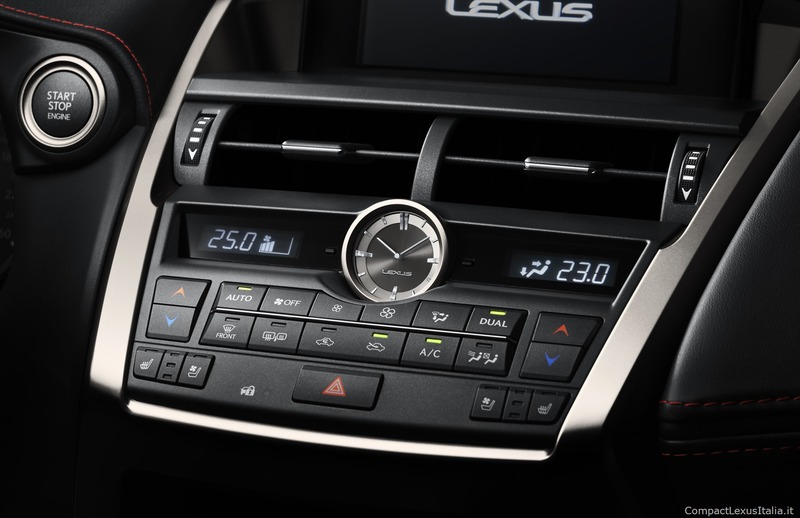 The centre silver frame is strongly embedded into the instrument panel to symbolise the strength of the crossover SUV. Strongly wrapped knee pads on both sides of the center frame firmly support the driver and passenger. 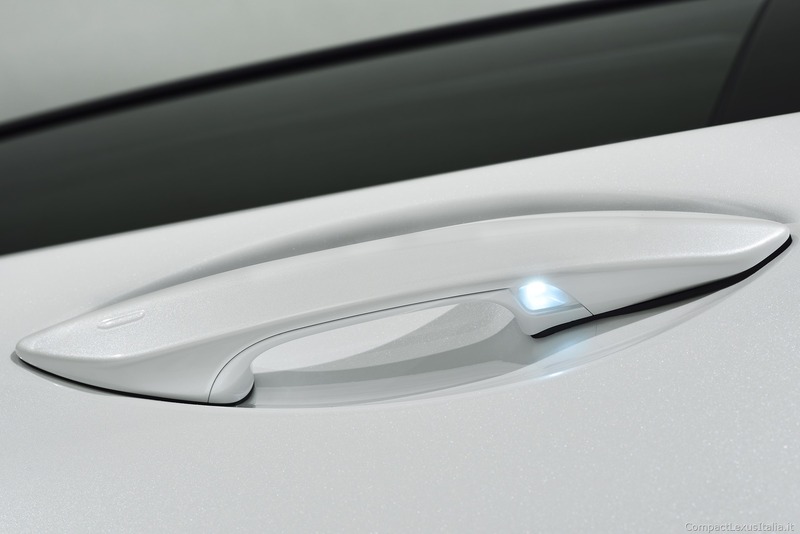 Advanced HMI (Human Machine Interface) technology provides intuitive interaction and creates an advanced impression. The NX continues Lexus’ display and operation zone concept. 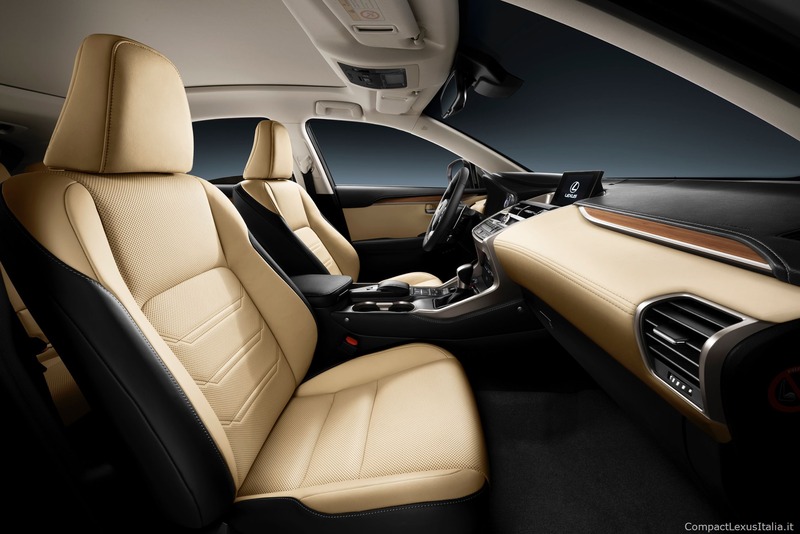 Interior space played a significant role in the cabin design, and seating was a major focus. 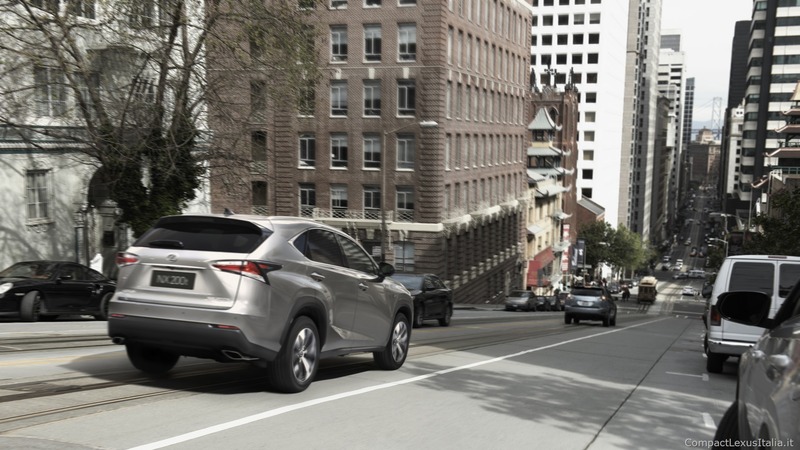 The NX offers ample overall head room and wide front to rear couple distance. 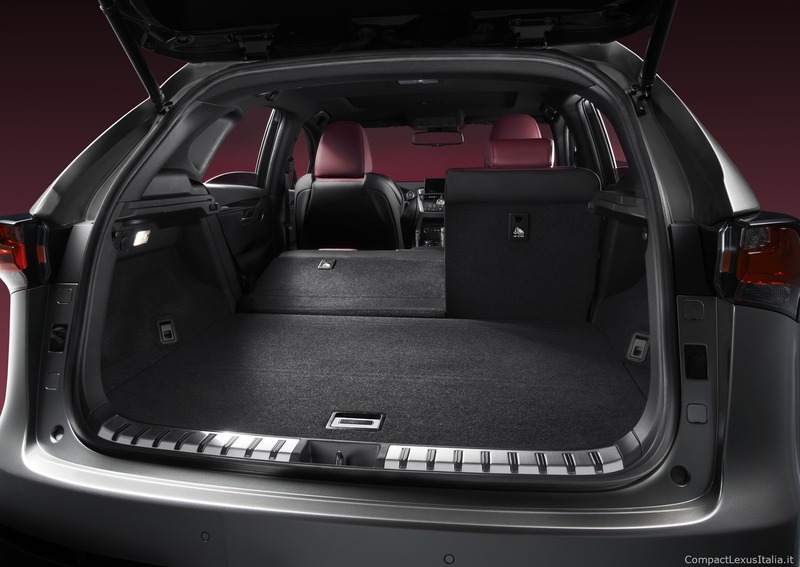 It has also the best luggage load length in its segment. 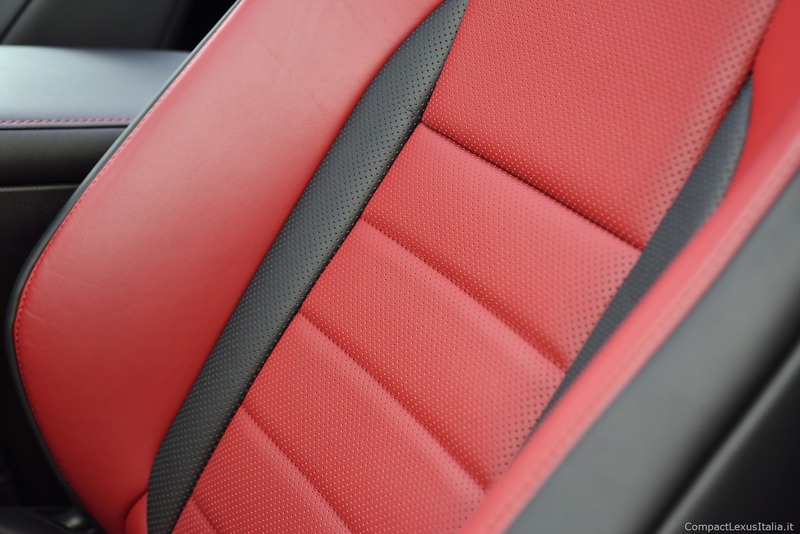 A quilted pattern in the seats and varied pad thickness are used to express the crossover intention of the vehicle. The tough metallic finish of the dynamic centre silver frame and the materials wrapped around it provide contrasting textures. 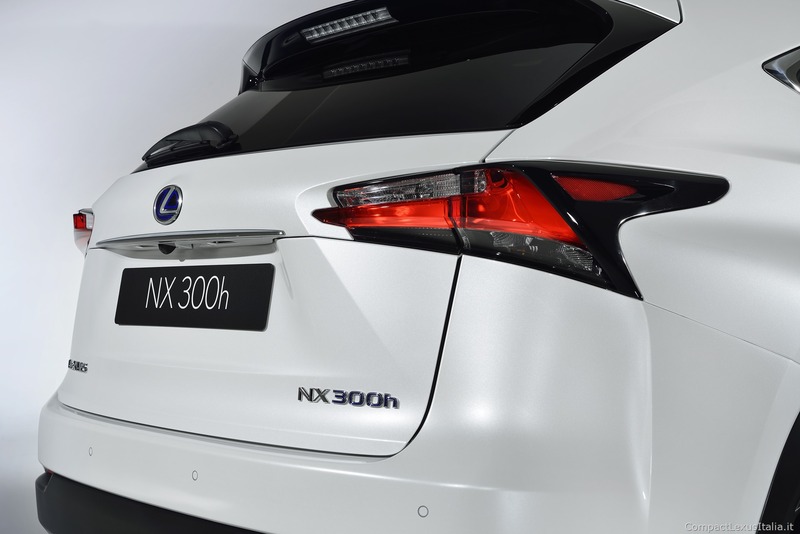 The NX adopts highly sophisticated HV control especially developed for the NX, with proven Lexus 2.5-liters Atkinson cycle- engine, generator, motor and battery. 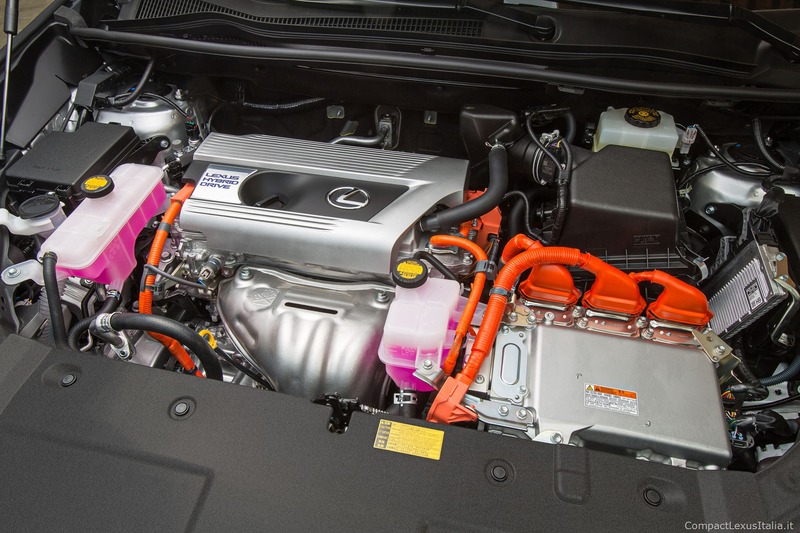 It delivers a total system output of 145kW. 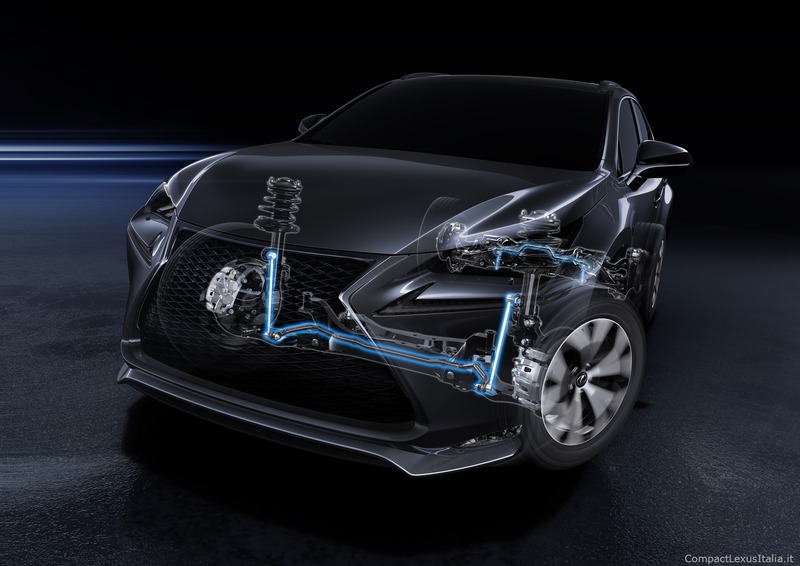 Special features of the hybrid model include sprung-weight damping control to increase ride comfort and handling stability by reducing pitching on uneven road surfaces. 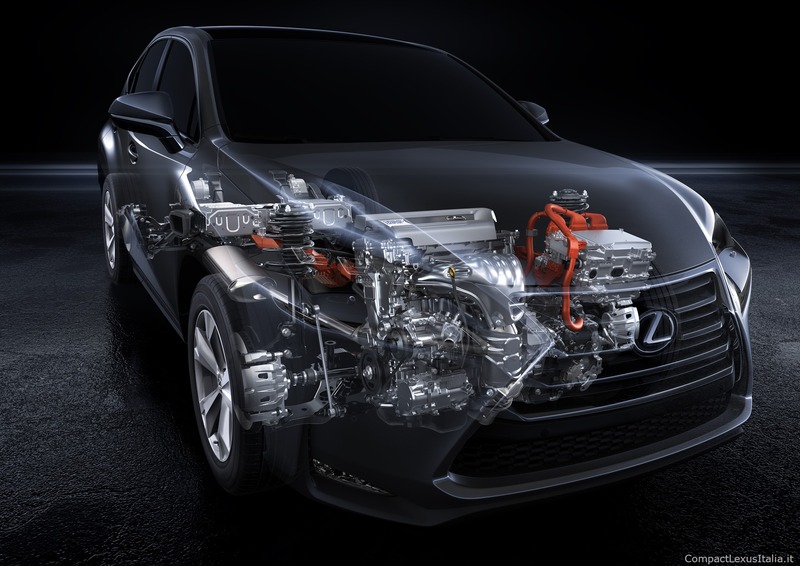 The all-new Lexus 2.0-litre turbo engine is a Lexus-first. 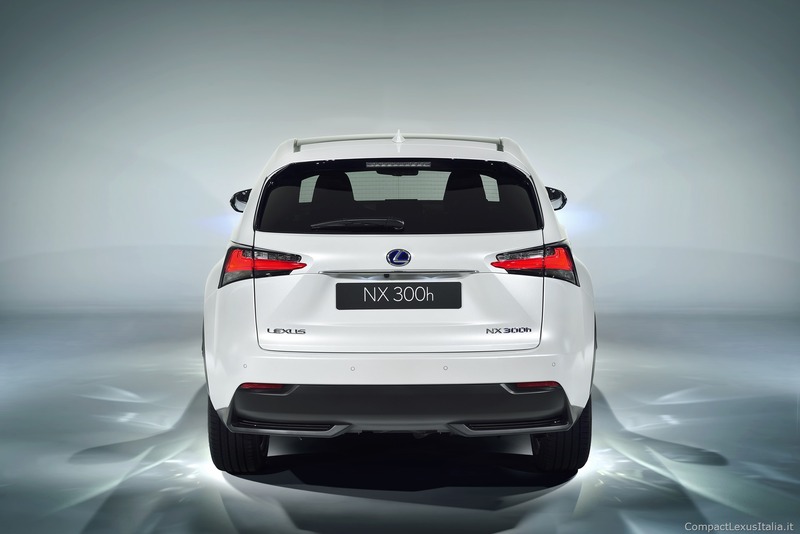 It combines excellent fuel economy with enjoyable acceleration and agile driving. 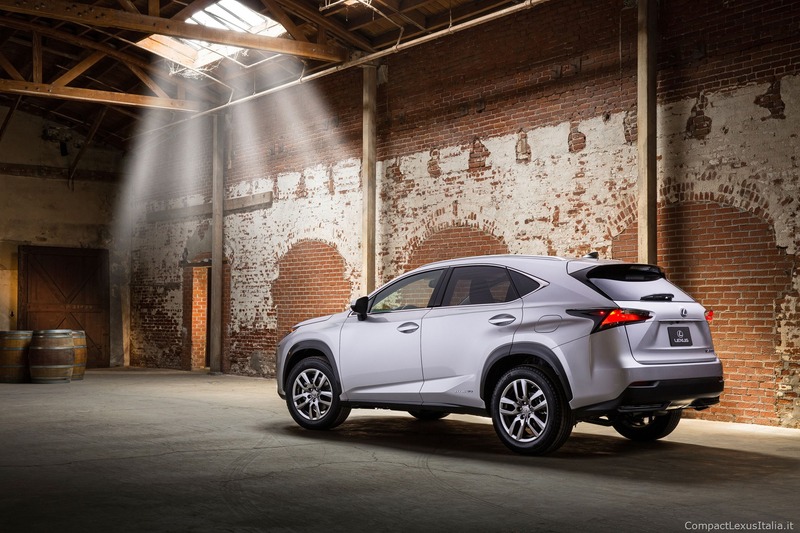 It is matched to a 6 speed automatic transmission specially tuned for the NX. 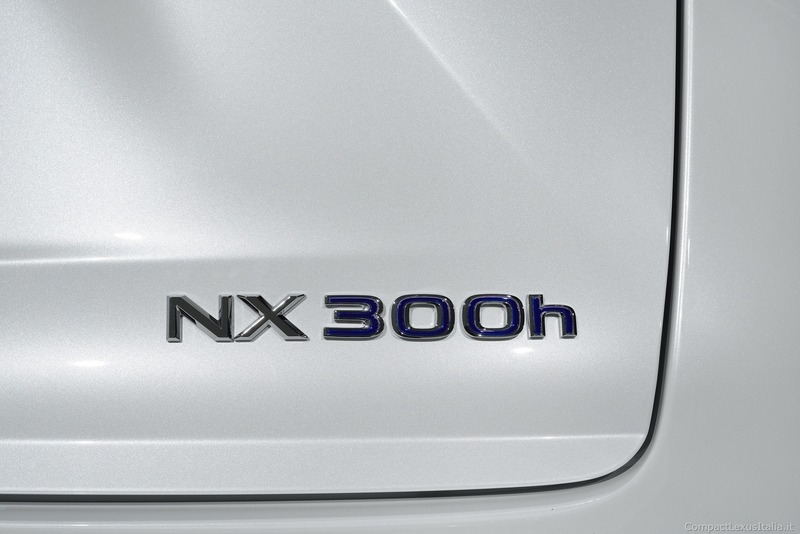 It delivers a maximum output of 175kW@4,800-5,600rpm with a maximum torque of 350Nm@1,650-4,000rpm. 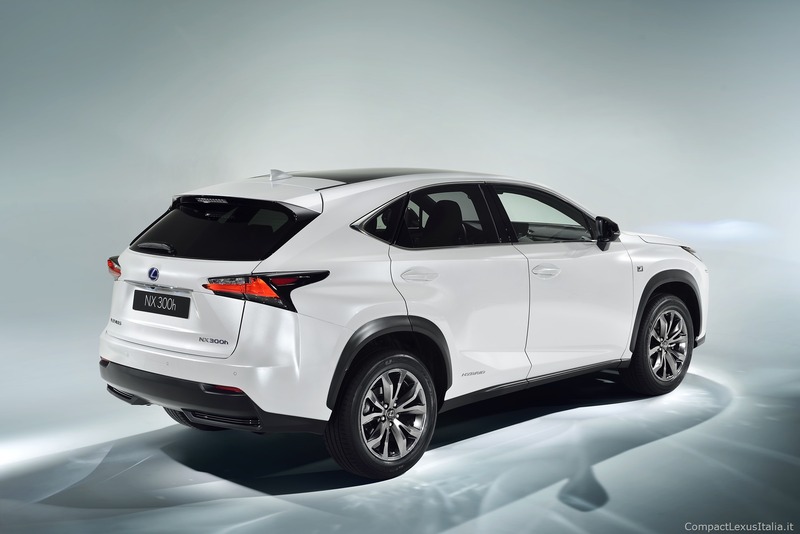 The 2.0-litre turbo engine was tested for more than one million kilometres in various road conditions including harsh environments. The new turbo engine has world-first combination of water-cooled cylinder head integrated exhaust manifold and twin scroll turbo charger. 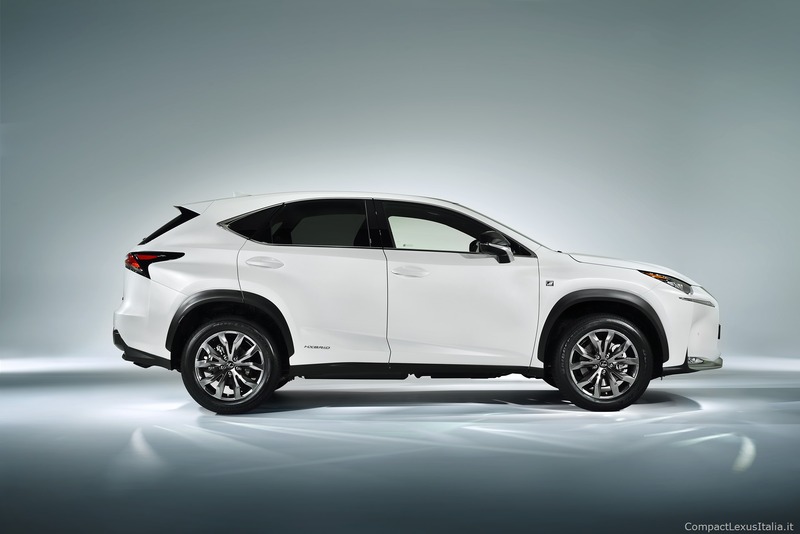 A new 6-speed automatic transmission is adopted to match with the new turbo engine. 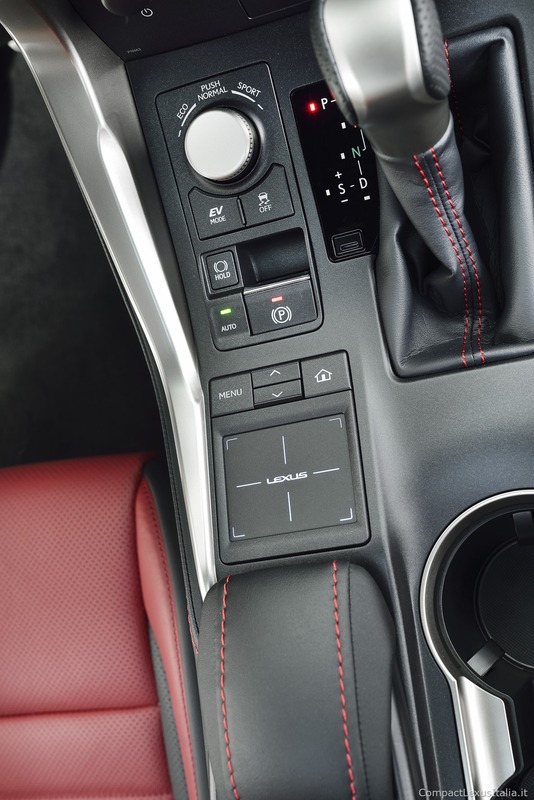 The new 6-speed automatic transmission features new torque-demand control logic. It calculates required engine torque and maximizes it, delivering quick response to acceleration and high fuel efficiency. 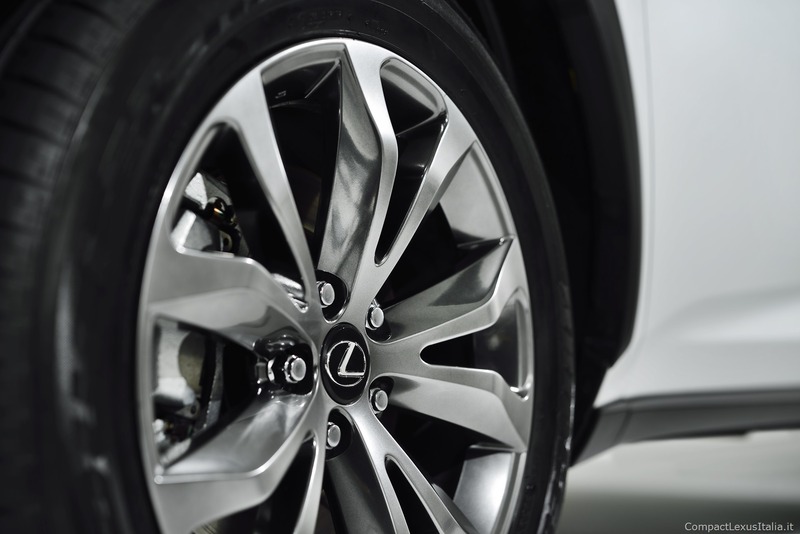 The Lexus Valvematic system provides high torque through an expanded valve opening angle and VVT operation range in the 2.0-liters naturally aspirated engine. 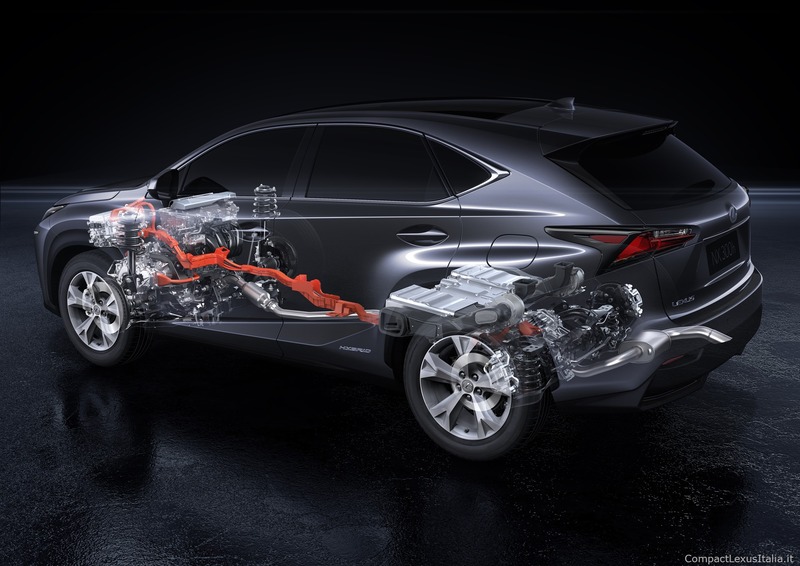 The power plant has a high compression ratio and diagonal fuel injectors, which optimizes fuel mixture to produce strong power through the rev-range. 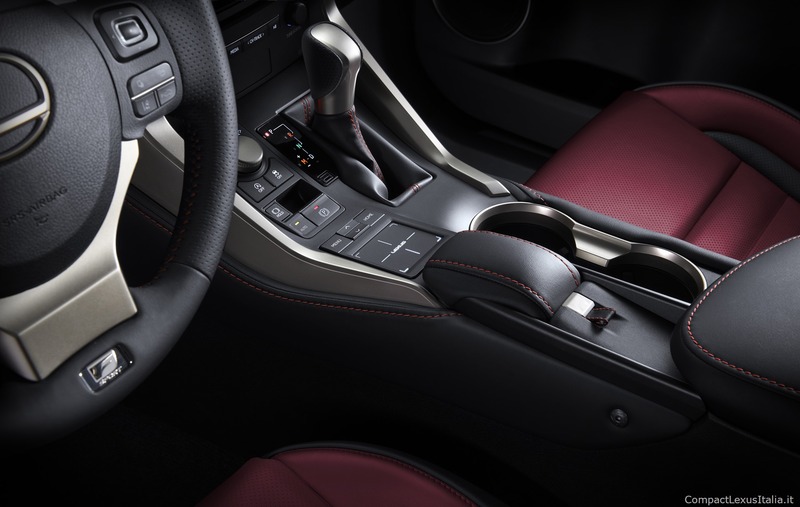 The engine is matched to a newly developed electronically controlled S-CVT/Multi-drive sequential-shift transmission. 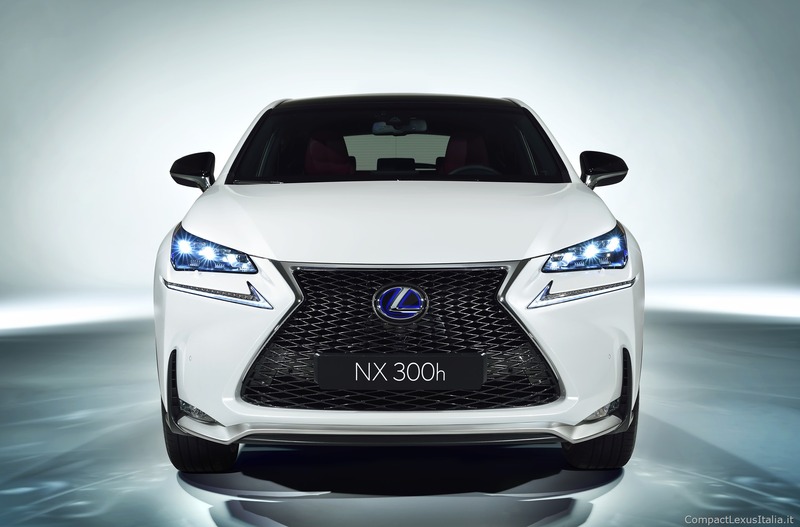 Selected NX models have newly developed dampers and Lexus’ new-generation linear-solenoid type Adaptive Variable Suspension (AVS). 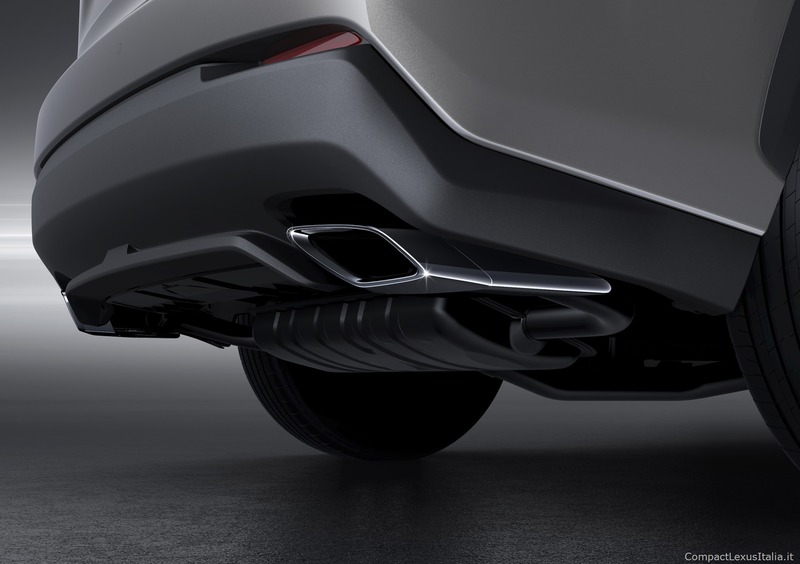 Linked to the Drive Mode Select, it is able to change the level of damping force, enhance ride comfort ensuring peace of mind due to reduced roll. 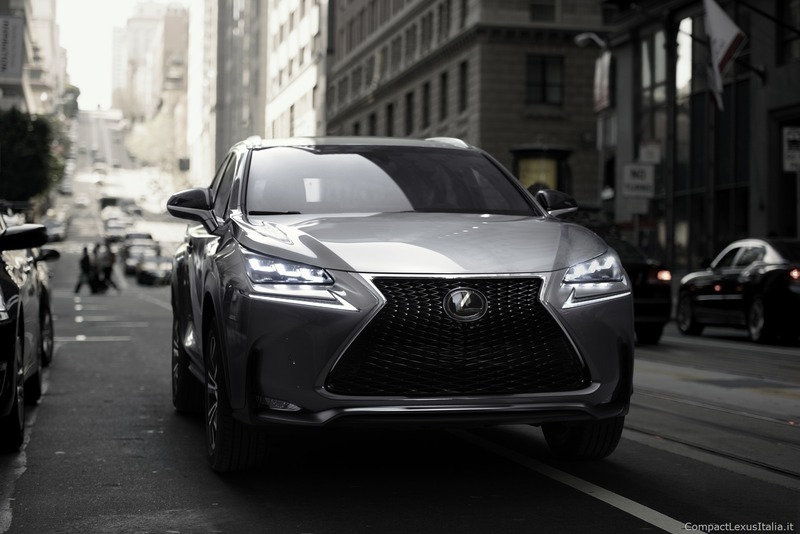 A comprehensive active package includes full-range Panoramic View Monitor, All-speed Adaptive Cruise Control, Lane Departure Alert (LDA), Blind Spot Monitor, Rear Cross-Traffic Alert, newly adopted cornering lamps and Head-Up Display. 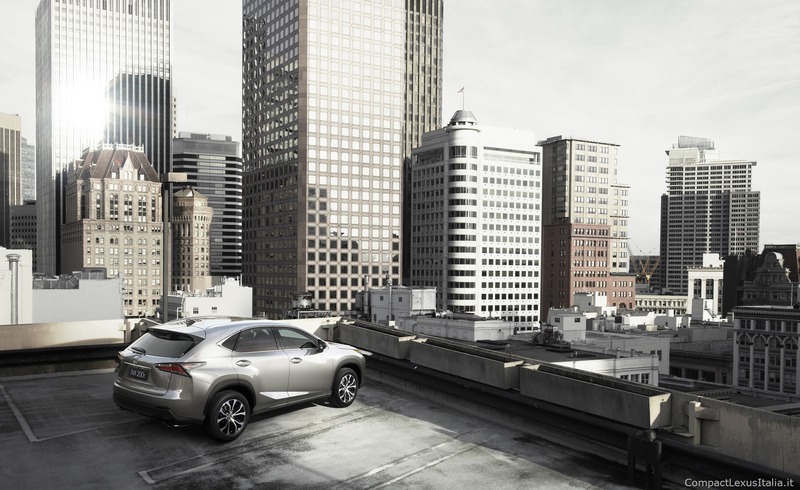 The Lexus-first Panoramic View Monitor is the highest resolution camera to be offered on a Lexus vehicle. 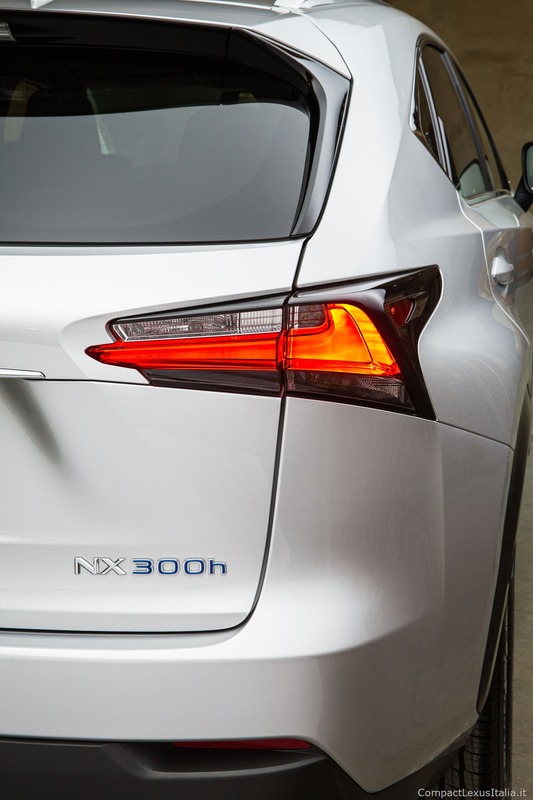 In a segment first, the NX introduces All-speed Adaptive Cruise Control, capable of following the preceding vehicle and bring the NX to a complete stop. 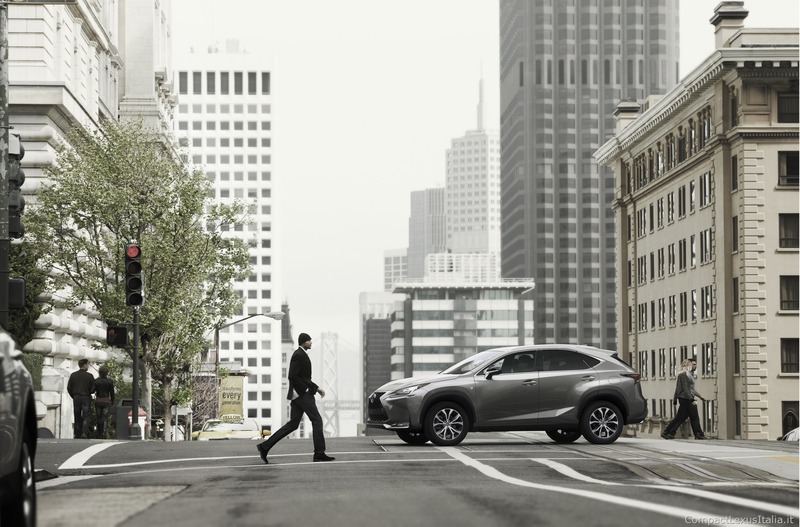 The Lexus NX series will be available for sale in world markets in the second half of 2014. 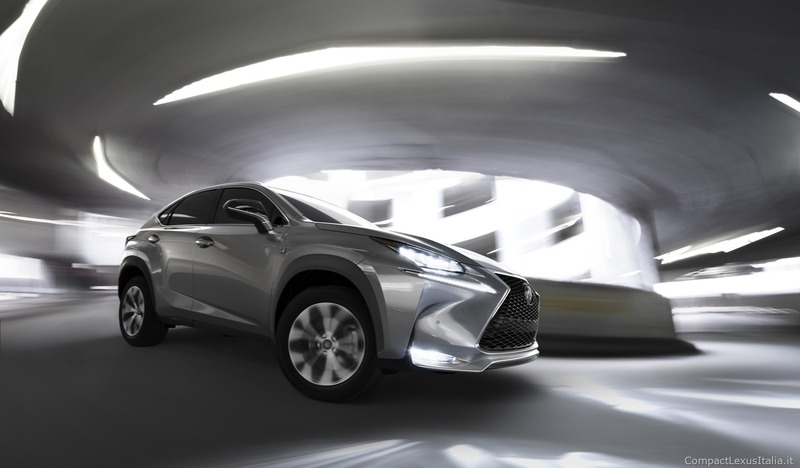 The specification of NX will differ according to the country in which it is sold. 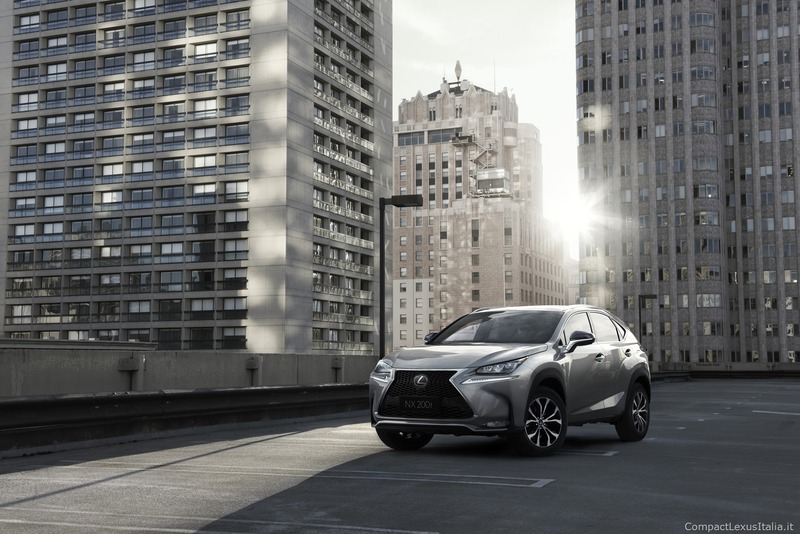 3 risposte a "Lexus NX"
cioè praticamente l’ho scoperto qui in questo tuo articolo, casco dalle nuvole.